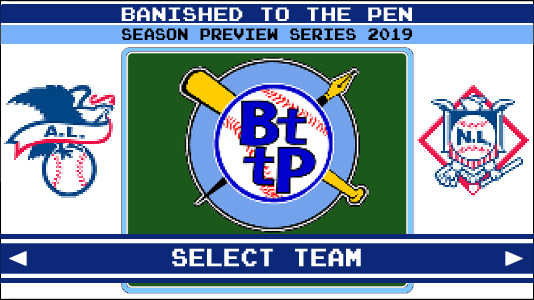 Thank you for checking out Banished to the Pen’s 2019 Season Preview Series! In our fifth edition, we’re pairing shorter essays with some assorted miscellany to bring you a fun snapshot of every team heading into the season. Here you can check out all of the team previews and other fungoes as they’re posted. See how our 2018 predictions compared to others. Check out the Effectively Wild podcast’s seventh year of team previews.